Ought is built for the live performance. Their songs are completely built around energy. The droning, repetitive licks build and build into these massive moments of courageous punk glory. Their Pop Montreal performance was a homecoming of sorts and they truly delivered in every way. The entire performance was truly great, but there were certain moments more significant than others. Moments when you know you are experiencing something fantastic, something historic, something no one in the audience will ever forget. The most obvious would have to be the final song of the show; Gemini. This song really epitomizes Ought’s mastery of energy. Beginning with some distant chords and guitar pickings, the song blossoms into these angry, driving verses split up by brilliant, insanity ridden choruses, culminating in the grand finale of Tim Darcy screaming the word “wanted” over and over backed by the eighth-note articulation of the rest of the band. At Pop Montreal Darcy may have belted “wanted” 10 times maybe 20 or perhaps just 8. I don’t remember. It didn’t matter. All of the energy in the room from the entire night had built up to that moment and no matter how many times the man on stage simply screamed a two syllable word into the microphone, I would have believed him. It would’ve sounded right. I don’t remember exactly what song it was, but another fantastic moment was extremely subtle and it blew me away. At first glance, most people wouldn’t associate punk rock with subtly. Punk rockers are loud, they’re angry, they don’t hold anything back how could there be any subtly? Punk is presented in a way that seems like there is intensity everywhere all the time, but the way it is written is so simple. No one in the band is ripping out some obnoxious 20 minute solo. The chord progressions are digestible and the lyrics are generally simple one line phrases, yet they still find a way to make the audience feel something. 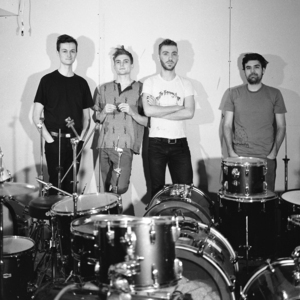 Punk rockers are minimalists in their heart and Ought is no exception. The particular moment I’m speaking about was during a bit of a lull in a song. The droning instrumental parts were coming down from a chorus and each member had a quick moment to make it interesting. First the bassist changed his line around creating some sort of melody, next the drummer played this tiny fill for a measure or two and finally the keyboardist changed his effect around and played a slightly different idea. Almost too subtle. I might be crazy and perhaps no one else noticed this moment, but there was something there, something different. Rather than all building up or coming down together like one cohesive entity, the energy transferred around the band like electricity completing a circuit. Without clearly stating solos or announcing each member of the band they created this little short-lived conversation. It was genius. There’s something to be said about seeing new music live. A song isn’t complete when it’s recorded. Music is so in the moment you never know what’s going to happen when it is first played in front of an audience. A big part of Ought’s performance with their older songs is the confidence they have. Everything has this assurance about it. It can be seen when Tim Darcy waves his finger around at the audience or when Matt May beats the sh*t out of his keyboard. 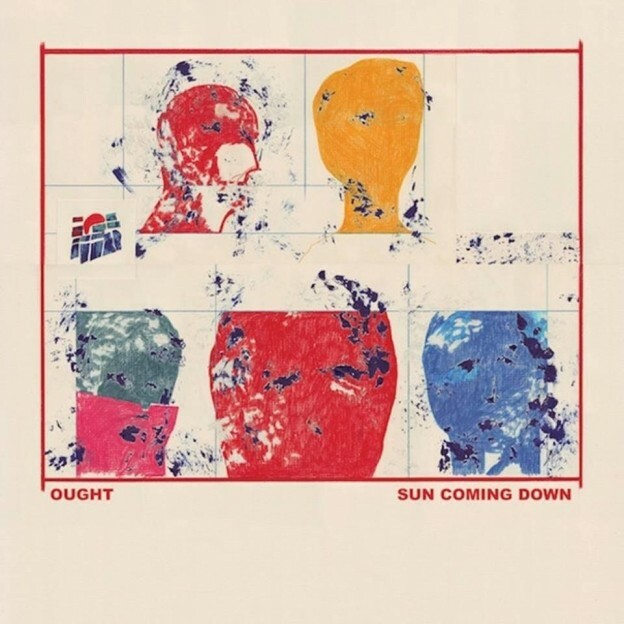 When the songs off of Sun Coming Down were played, it took a moment for the confidence to set in, but by the end, everything seemed to have clicked into place. In the song Beautiful Blue Sky, the confidence clicked in at “I’m no longer afraid to die because that is all I have left.” The lyric alone is brilliant and Tim Darcy knows it. He just put it out there as if everyone in the room was already expecting it and it totally worked. It felt like an Ought classic. It felt like home. It was another one of those perfect, timeless moments. If you live in Montreal and you listen to CKUT there’s a couple things you ought to do (I had to). When I tell my friends about the station I usually mention Ought first. They’re a little experimental, a little punk, and completely perfect for us. I would highly recommend all of their albums and I truly loved their live performance.